The Pine Island Angler: Bow To The King!!! When the tarpon is in the air the rod is thrust way out towards it, as far as the arm can reach. This is the only way you'll ever consistently keep these fish on the hook with a fly rod. 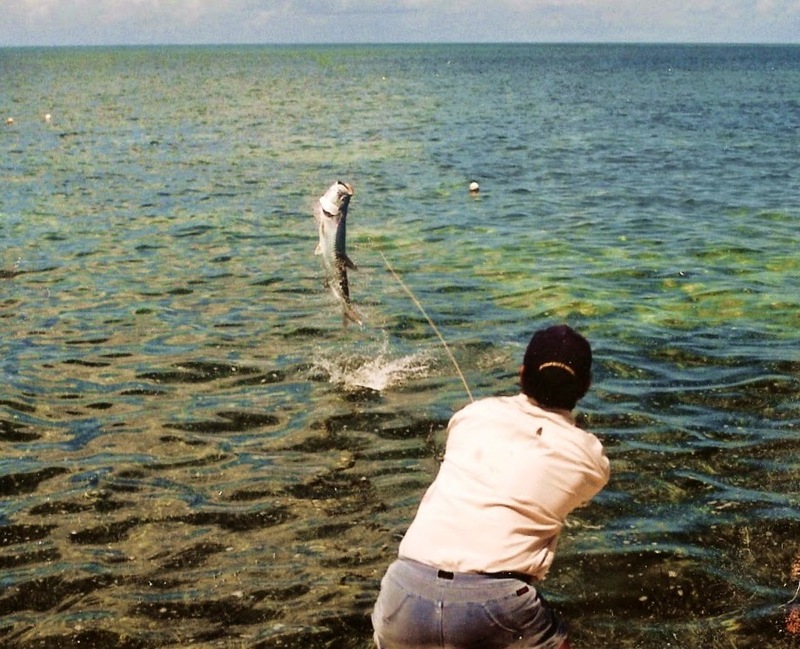 When a tarpon jumps you have to throw slack into the line as soon as they break the surface. Pulling against them almost always results in a tossed hook. This is where the famous phrase "Bow to the king" comes from since some anglers even bend at the waist to increase the slack. 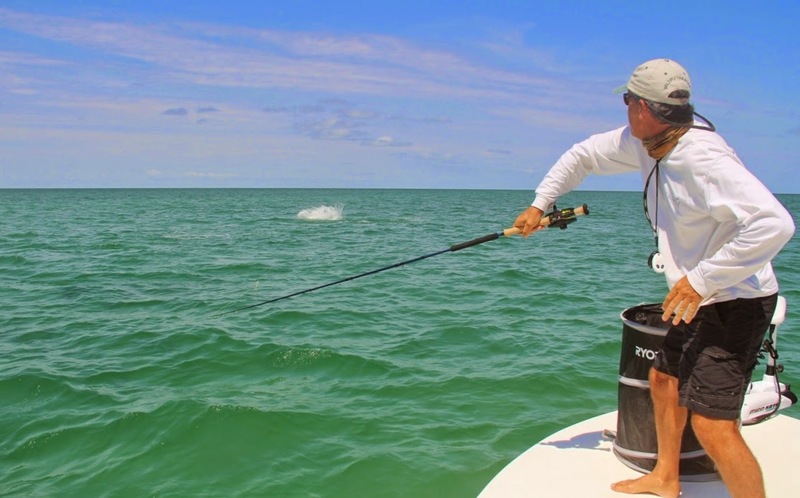 Hook enough tarpon over time and bowing to them will become an automatic reflex. You'll still lose some fish no matter how well you do it but you're success rate will improve dramatically. All the tarpon in those photos above were landed.